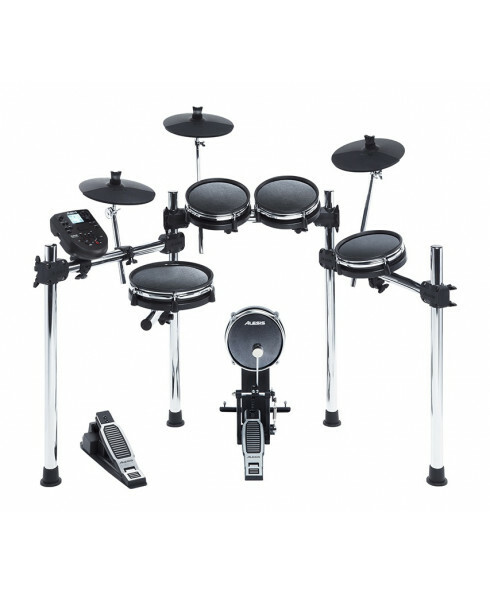 The Surge Mesh Kit is a complete 8-piece electronic drum kit that includes everything a drummer needs to play like a pro. 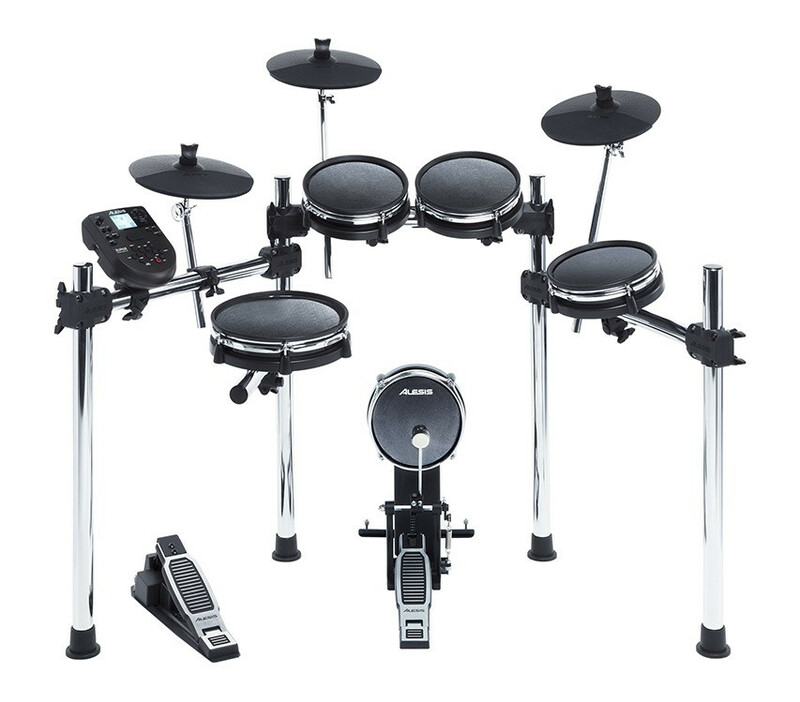 It features a 10" dual-zone mesh snare and three 8" dual-zone mesh tom pads for great feel and natural response, plus an 8" mesh kick tower pad with pedal. Three cymbals provide a virtually unlimited range of playing expression: a ride cymbal, crash cymbal with choke function and hi-hat. Not only do the mesh heads deliver unmatched response and playability, the compact size means the Surge Kit goes where larger kits can’t. The Surge module is filled with sounds - and surprises. The backlit LCD screen makes navigation a breeze. Drum and cymbal buttons are arranged to resemble the layout of a traditional kit, so it’s simple to assign sounds and create kits quickly. 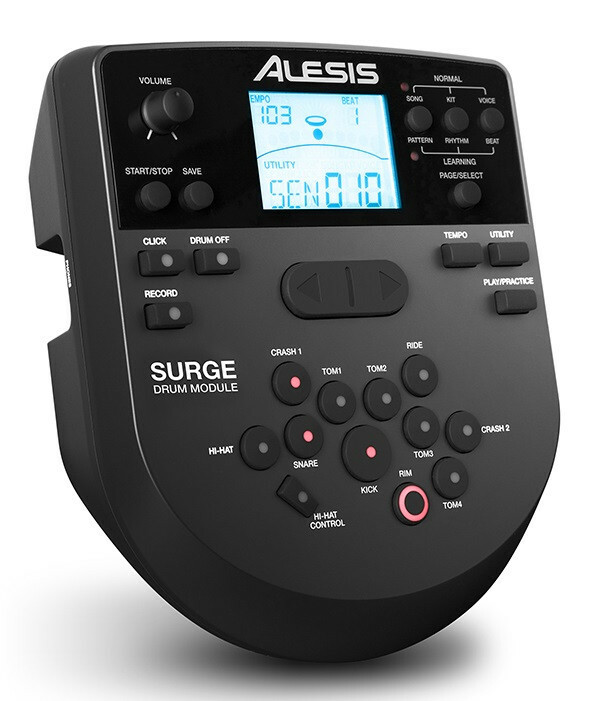 The Surge module comes complete with 40 classic and modern ready-to-play kits. 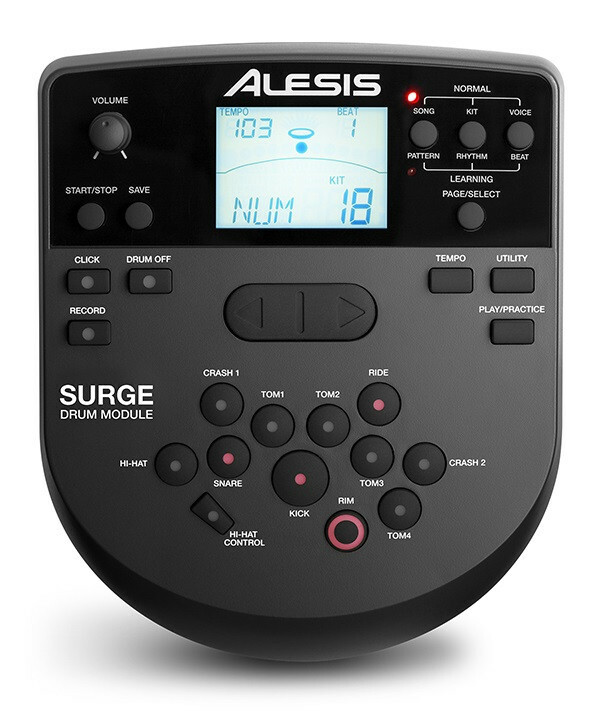 Easily tweak any existing kit, or create your own using the 385 superior drum, cymbal, and percussion sounds included in the Surge module.